The communications regulator says Brits are reluctant to switch providers because of the hassle and the potential for dark periods between the switch off from one provider and the switch on from another. Currently Brits have to contact their current provider and obtain a pin code before they can make arrangements with a new provider, something that Ofcom is looking to ditch under potential new rules. 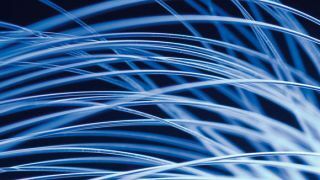 In a new report Ofcom said it "wants to make it mandatory to use systems and processes to minimise loss of service when switching bundles." The regulator found that a "significant number (20%) of people switching suffer a loss of their service for a period. This is mainly where a bundle of fixed line voice and broadband services is involved." To help solve this problem, Ofcom will over see a switch to a 'harmonised gaining provider led (GLP)' solution, which will take power away from existing providers and make it easier for customers to approach a different company. Ofcom's consumer group director Claudio Pollack said: "The move towards one clear and simple system led by the gaining provider will result in a switching process that works in consumers' best interests. "We will now be working on further measures to improve consumers' experience of switching." The consultation period will continue until October 2.